Check out what some of our customers had to say about their shipping experience with RoadRunner Auto Transport. "I dont know what I would have done without the help from RoadRunner. I signed up with a different company at first, but my car was not getting picked up, so I decided to call around. When I called RoadRunner Auto Transport I spoke with Eddie and he explained the entire process and why my car was not getting picked up. So I decided to cancel my order with the other company and let Roadrunner take over. The next day I receive a call from Eddie and he informs me that a driver has been assigned for a pickup that day! Excellent service – THANK YOU!" "Road Runner Auto Transport did an excellent job moving my Lexus from Rockville, MD to Austin, TX. My driver (Alton) was available to pick the car up early (I wasn't ready) and was totally flexible in arranging a time to pick up the vehicle on the first day I was ready. He was polite, professional and curteous. He delivered my car exactly when he said he would. I would definitely use this service again! Thanks, Road Runner!" "RoadRunner Auto Transport gave me the best quote and stood by it. They pick up the car when they said they would and delivered it on time. Anytime I called they answered all my questions and if they said they would call to follow up they did. I am very happy with their service and would use them again. Thanks Lance"
"Unbelievable speedy pick-up and delivery from a central Florida location to my driveway in Kansas that involved a non-running 1958 Edsel that had no operating brakes, and they still did not complain! I will recommend them to anyone and will also use them on my future moves , hopefully it will involve running car's with brakes." "Overall, I'm very happy with the service I received from Roadrunner Auto Transport. Every time I called, somebody was available to help me right away and answer any questions. Great customer service and very knowledgeable sales people. The online tracking was very helpful and easy to use. My car arrived within the timeframe I was originally given and in perfect condition. If I ever need to ship my car again, it will definitely be with Roadrunner Auto Transport." "Delivery was on time and the customer service reps were great with keeping me informed of where my vehicle was at all times. I completed this transaction while I was away from home with out any major incidents. The driver contacted my family prior to his arrival which made my vehicle purchase and delivery easy. Would recommend using them again." "I was very satisfied with shipping of my car on a barge thru Road Transport. It very extremelly easy no problems very fast. I was walked thru every step. Had a very good expirience and will choose this transport company again if I need to ship my car." 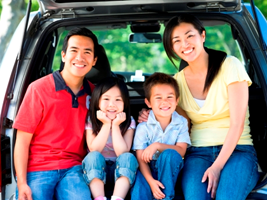 "My experience with RoadRunner Auto Transport was easy and fast. With the cost of fuel this days, I was blown away with how affordable the cost was. My car was safely transported over 3000 miles, from Phillipsburg, New Jersey to Whittier, CA in 4 business days! I had concerns at first since I never dealt with or shipped a car, but I can assure you this company is honest and the customer service is top notch. RoadRunner Auto Transport made me feel like I was the customer and it's hard to find company these days that work for you. I researched and called several transport company, they just couldn't simply compete financially and once again the customer service sold me. Please give them a call while you do your research and I am sure you will recognize the quality compared to other companies. In the end, I received my 1951 Mercury safe and sound." "I had requested a number of quotes from various car shipping transportation companies. The representative I spoke with handled my questions professionally. My vehicle was picked up on time, delivered on time and with no damage. I met with the truck driver, he was truly professional when unloading my vehicle. I bought him a burger, as I had promised while he was on the way to my place. In addition, the truck driver did call me a couple of times to update me where he was." "Overall professional service, from customer service to the driver. In the midst of adversity, through hurricane sandy the people from Roadrunner delivered and exceeded my expectations. Good job and thank you guys for the professional service you provided.Very excellent service !" are the best! Great customer service!" "They delivered on there promise to pick up and deliver the truck in ome day. But even better it arrived 3 hours earler than promised! In my business word is bond. If they say they will do it, they do it!!! I will call Road Runner Transport without hesitation. They are the best!" "Out of all the quotes I received by email, Roadrunner was the only company that actually called me. I spoke with Phil and he answered all of my questions, so I gave him the order. My car was picked up on time and the driver gave me his cell phone number in case I had any questions while my car was on the truck. Everybody that I dealt with was very professional and I couldn't be happier with the service that Roadrunner provided." 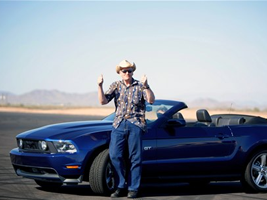 "I had my car transported from Texas to California with no trouble at all. The transportation was fast, the driver was on time, and the coordinator Eddie as well as the customer service rep Heather that i dealt with kept me informed the whole time. Overrall i am very pleased and would definitely recommend them to my friends and family. Thanks again Road Runner!" "Hearing Paul's voice after being hassled with calls from all sorts of companies with all sort of quotes was reassuring ! I felt my car would be picked up on time and would be delivered on time which turned out to be the case. I would definitely use Road Runner for any/all of my future moves. I even recommended them to family moving up here." "Awesome experience. First time doing this, wasn't sure about the outcome. Althought the trucking company showed up one day late, they picked up the next day when they said they would and I thought it would take 2-3 days to get to Virginia. I was shocked when, I got the call 17 hours later they would be at my house within the hour. Showed up, very curtious and the car was in great shape! Would definetly use Roadrunner again. Great Company!" 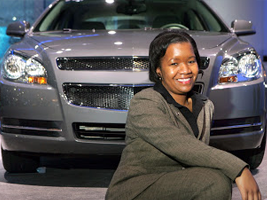 "I submitted my quote request online and I got so many emails from different car shipping companies. RoadRunner was the most competitive quote I received and they never bugged me with so many reminder emails. I spoke with Heather at RoadRunner and she was so helpful and guided me through everything. I was very pleased when the truck driver picked up my car on time. I felt very comfortable with the entire situation and truly felt like my vehicle was safe. The driver called before delivery to make arrangements and everything went perfectly!" "When I was moving from Hawaii to New York, my biggest concern was how I was going to get my car there. After researching a few options, I decided to go with Roadrunner auto transport. They were able to provide me with transportation from my door in Hawaii to my door in New York. Everything went accordingly to plan and they kept me updated until my car arrived. For something that I initally thought was going to be a big headache, it actually turned out to be a very simple process. !" "Roadrunner's quoate was all inclusive and the lowest that I received ( 4 quotes total). They were able to pick up the car at my business office in South Carolina the same day I accepted the quote. And, the car was delivered the next morning in Virginia. Great service... driver was very courteous and accomodating to our needs." "Picked up on time and delivered early!! Very helpful and knowledgable people. Communication was great and the driver was friendly. Honestly couldn't ask for anything more. Thanks again guys! "